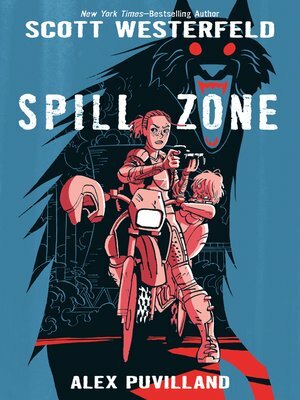 The first volume of an original graphic novel series from New York Times—bestselling author Scott Westerfeld, illustrated by Alex Puvilland. The Spill claimed Addison's parents and scarred her little sister, Lexa, who hasn't spoken since. Addison provides for her sister by photographing the Zone's twisted attractions on illicit midnight rides. Art collectors pay top dollar for these bizarre images, but getting close enough for the perfect shot can mean death—or worse. When an eccentric collector makes a million-dollar offer, Addison breaks her own hard-learned rules of survival and ventures farther than she has ever dared. Within the Spill Zone, Hell awaits—and it seems to be calling Addison's name. Scott Westerfeld is a software designer, a composer of music for modern dance, and the author of novels such as The Risen Empire and The Killing of Worlds. He lives in New York City and Sydney, Australia.